Technology, particularly mobile technology, is changing many aspects of our lives. Our shopping habits, how we access financial institutions and how we arrange travel have all changed in recent years thanks to technology. For the most part, technology has made the processes associated with these events and tasks more efficient. Why shouldn’t the practice of Podiatry benefit from the efficiency technology offers? Recently, on social media, questions were posed regarding technology and Podiatry. Are there mobile technology companies who are effecting Podiatry and what are the repercussions of this to the profession? An excellent example of one such company seeking to change how orthoses are prescribed is SOLS. SOLS harness Apple’s iOS technology and Apple’s iPhone and iPad hardware to capture foot and ankle data using photographic images as a means to create custom made orthoses. SOLS disruptive technology seeks to bring an end to the days of casting patient’s feet or the potential inaccuracies sometimes associated with foam box casting when making orthoses. But what will the long-term effects of such technology have on the Podiatry profession? 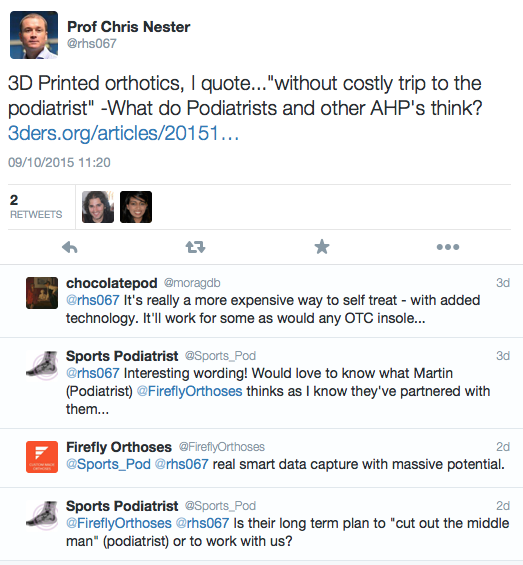 This very question was asked by Podiatrist Ian Griffiths on Twitter (@Sports_Pod). 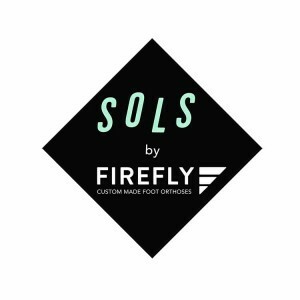 In addressing Ian’s question, Firefly Orthoses’ founder and Medical Director Martin McGeough stated: ‘Firefly are actively influencing SOLS in partnering with podiatrists for the supply of their medical prescription product called SOLS RX. This custom made orthotic must be prescribed by podiatrists and is aiming to offer correction by incorporating rotations of the heel and forefoot. Certain features are currently limited and we are suggesting they add more, for example Lateral & Medial flanges etc. This is in progress. We launch this product at our annual podiatry conference in Harrogate. The data acquisition is high-tech and cool. The product is reasonable and improving weekly. Watch this space as it is interesting. However, I believe as a profession we must engage and influence these disruptive new high-tech companies who design and manufacture foot and ankle medical devices. No one does it better than our profession. Sometimes we are just too quiet about it! They have another product called SOLS flex which is a customised insole with no correction features. They sell this direct to the public. SOLS intend directing patients with more complex pathology to their database of podiatrists for their SOLS RX product range. We have influenced them to understand that a full history and physical must be completed prior to a diagnosis by a podiatrist. Then if appropriate orthotic therapy can commence combined with footwear advice and especially strength, flexibility and conditioning.’ Keep an eye on our website to stay up to date with Firefly’s launch of SOLS at the forthcoming College of Podiatry Conference 2015.